By sending Child Life Society Mishloach Manos cards in place of costly Mishloach Manos, you can celebrate Purim AND provide essential Pesach assistance for families exhausted and overwhelmed by the responsibilities of caring for a sick child. That’s TWO Mitzvos for the price of ONE! Show the children you care. 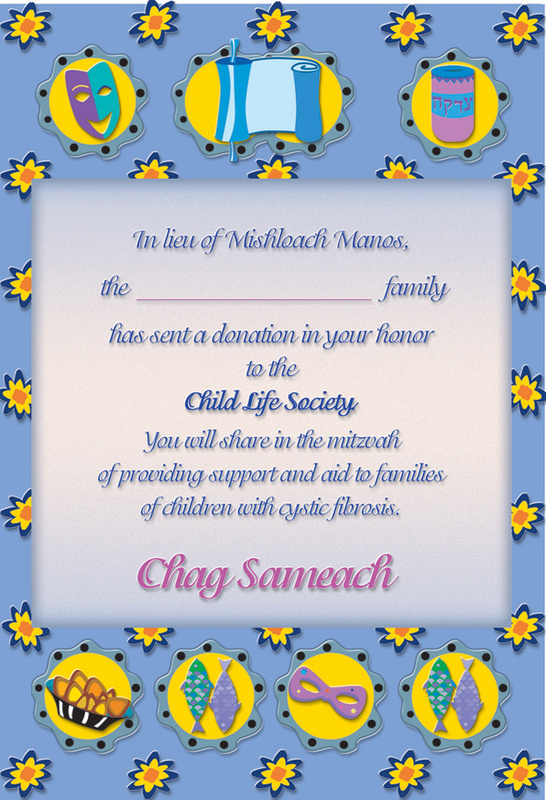 Order your Child Life Society Mishloach Manos cards today. I don't need cards, but I want to help Child Life Society.